Two of our North East business centres are now offering customers the additional benefit of an on-site eatery. 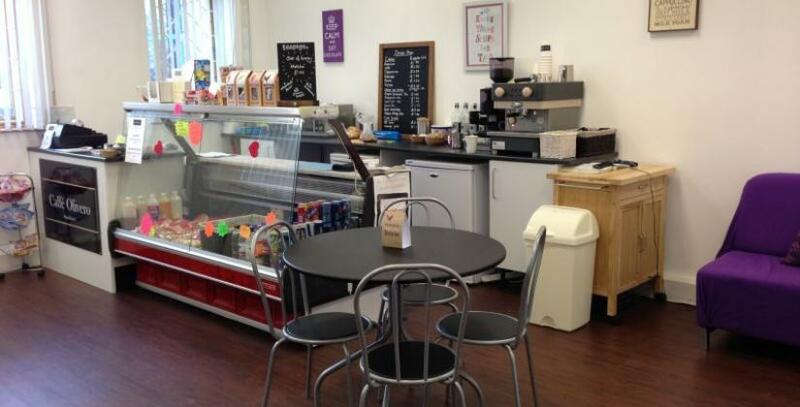 Businesspeople can lunch in style at North Sands Business Centre’s Caffe Olivero in Sunderland, or pick up a tasty treat at the takeaway style Caffe Olivero at Queensway Business Centre, Middlesbrough. They also provide an in-house catering facility for customers of our meeting rooms. The cafes are the entrepreneurial idea of Sharon Olivero-Chapman, who launched her start-up catering firm servicing a single business centre in Teesside, and has since grown it into a successful chain. “I jumped at the chance to open a Bizspace Caffe Olivero at North Sands, and it means businesses based there no longer need to go into town to buy lunch,” Sharon said. Sharon found that a great way to help her start-up business get off the ground was to employ apprentices to serve in each of her cafes. The apprentices are completing a customer service course, as well as gaining hands-on experience serving food and drink in the cafes, and the external funding provided gave a great initial boost to the business. Lynne Oliver, manager of North Sands Business Centre, said the new café had brought a greater sense of community to the work environment. “Our new cafe has been a big hit. As well as giving our customers a place to meet up and get some lunch or a snack, it means that we can offer a catering service to external companies who are using our meeting rooms,” she said. Are places to eat important to you when choosing where you base your business? Tweet us your thoughts.